CLASSIC ARTICLE - Just because an organization does good work, it doesn't necessarily qualify for tax-exempt charitable status. Nor does it have to incorporate. CLASSIC ARTICLE - More and more grantmakers are demanding program evaluations as a condition of funding. Management consultant Carter McNamara lays out a framework for conducting these evaluations, and he charts the various methods available for gathering valuable data. CLASSIC ARTICLE - As an alternative to grants, some foundations use a lending instrument known as the program-related investment (PRI).Here is some basic information about the kinds of activities that they support. CLASSIC ARTICLE - For superstar athletes, charitable foundations are about more than good works. They're also good business. Steve Tappan explains why so many athletes are starting foundations-and why their agents insist on it. CLASSIC ARTICLE - For several decades, big business has used a management tool known as "benchmarking" to measure performance, motivate employees, and build profits. Now the nonprofit sector is adapting this technique to meet its own needs and to fit its own culture. CLASSIC ARTICLE - What are the best capacity-building techniques for grassroots groups? To find out, the Environmental Support Center interviewed a number of technical-assistance providers as well as representatives of the organizations that use their services. CLASSIC ARTICLE - Unlike for-profit ventures, social enterprises need a business plan that addresses both financial goals and social goals. Sutia Kim Alter describes the process of creating such a plan. CLASSIC ARTICLE - In some big cities, the quickest way to make friends in high places is to make sizable contributions to elite institutions. CLASSIC ARTICLE - Many groups spend inordinate amounts of time and money producing special events, only to discover that the benefits fall far short of the effort. The first step in planning a successful event is deciding whether it's right for the organization. CLASSIC ARTICLE - For many in the nonprofit sector, borrowing carries with it an undeserved stigma-it's seen as a sign of poor management. Yet most for-profit businesses would flounder if they couldn't borrow to stabilize cash flow. CLASSIC ARTICLE - If the members of an organization's board are geographically dispersed, they may have trouble working together cohesively. Technology consultant Corinne Waldenmayer shows how to solve this problem by using a variety of electronic tools and resources. CLASSIC ARTICLE - As the nonprofit sector expands worldwide, grantmakers are combining resources, building regional networks, and promoting new forms of electronic communication among their grantees. CLASSIC ARTICLE - Grants and contracts are sometimes confused, creating misconceptions about the obligations they entail. Veteran grants manager Henry Flood explains the difference, both legally and practically. CLASSIC ARTICLE - The IRS recently revised the regulations regarding goods and services that a charity may offer in exchange for contributions. Attorney Pamela McAllister explains what the new rules mean for 501(c)(3) organizations and their donors. CLASSIC ARTICLE - Good publicity is a key to gaining support for your cause, bolstering membership, even raising more money. But too many nonprofits fail to make the most of their publicity opportunities--or fail to recognize an opportunity when it comes along. CLASSIC ARTICLE - Figuring out what to pay an organization's top executive is one of the biggest challenges facing any board of directors. The National Center for Nonprofit Boards offers some guidelines for carrying out the process. CLASSIC ARTICLE - Nonprofit fundraisers have discovered a slew of new direct-response technologies, but tried-and-true techniques like direct mail still bring in the most money. Fundraising consultants Fran Jacobowitz and Kay P.
CLASSIC ARTICLE - As the needs of nonprofits for technology increase, so do the numbers of grant proposals for tech-related projects and equipment. America Online's Michele Cavataio has pored over thousands of requests for tech funding. CLASSIC ARTICLE - The IRS continues to weigh specific rules governing Internet advocacy by nonprofits. CLASSIC ARTICLE - Because of the frequently intangible nature of nonprofit work, job performance can be difficult to appraise. Enlightened Investment or Excessive Intrusion? Venture philanthropy is a hot topic in philanthropic circles. Is it the future of grantmaking or a passing fad? Is it born of genuine commitment to social change or the arrogance of wealthy young elites? CLASSIC ARTICLE - Jed Letterman's Top Ten List of Famous Last Words of Failed Social Entrepreneurs. CLASSIC ARTICLE - In creating his new Office of Faith-Based and Community Initiatives, George W. Bush continued the practice of using federal grantmaking as an instrument of change. CLASSIC ARTICLE - To succeed at fundraising, nonprofit organizations should start from a position of strength, not desperation. How strong is your organization? CLASSIC ARTICLE - The federal government may not be as generous with construction funding as it once was, but many departments still award these grants for various purposes. CLASSIC ARTICLE - Many nonprofits have an unfounded fear of borrowing money, but the ability to borrow can help deal with unpredictable income steams, growing service demands, or outdated equipment. Financial consultants Susan Kenny Stevens and Lisa M.
CLASSIC ARTICLE - For most organizations, the vast majority of contributions they receive will be small, but the majority of their income will come from a few big donations. That's why it's essential to have a clear understanding of how to get those big donations. CLASSIC ARTICLE - How do the organizers of a charity auction go about collecting the things that bidders want? Professional auctioneer Sandy Bradley gives an insider's guide to soliciting items from businesses, friends and family. CLASSIC ARTICLE - The legal treatment of charitable organizations in different countries presents a daunting challenge to international funders. Globalization and cross-national grantmaking will require changes in the laws of almost every nation. CLASSIC ARTICLE - The Council on Foundations now recognizes 37 separate affinity groups, voluntary associations of grantmakers interested in specific issues and population groups. CLASSIC ARTICLE - The best grant proposals don't just make assertions. They back up claims with facts. Both statistical information and anecdotal evidence lend substance to a proposal. Norton J. CLASSIC ARTICLE - Most managers hire people who make them feel comfortable. According to management expert Robert I. Sutton, that may be the wrong thing to do if you want your organization to become more innovative and productive. CLASSIC ARTICLE - Politicians and marketers use focus groups to structure campaigns. Nonprofits can use them too--to connect with the communities they serve. Judith Sharken Simon offers a 10-step guide to planning and conducting focus groups. CLASSIC ARTICLE - Salary surveys are a window on the job market. They show what other employers are paying their personnel, and indicate whether your own wage levels are competitive. Here's a nuts-and-bolts guide to designing a salary survey for your own agency. CLASSIC ARTICLE - Over the course of a fiscal year, many nonprofits find themselves tilting back and forth between cash deficits and cash surpluses. Accurate cash flow projection enables management to plan for either situation. CLASSIC ARTICLE - Outcome evaluation can tell you if a program is really working, but too many grantmakers and grant recipients fail to plan for it. CLASSIC ARTICLE - The explosive growth of non-governmental organizations overseas has opened up vast new opportunities for grantmakers. CLASSIC ARTICLE - Why are RFPs, grant proposals, and other forms of communication among philanthropic organizations littered with jargon? Tony Proscio takes a wry look at our addiction to buzzwords, dissects a few trendy examples, and suggests some ways to kick the habit. CLASSIC ARTICLE - In the wake of recent corporate scandals, Congress has imposed strict new standards for the governing boards of public companies. CLASSIC ARTICLE - Balance sheets and income statements may be a mystery to the uninitiated, but board members have a duty to know what they mean. Steven Berger tells what to look for and how to make sense of the numbers. CLASSIC ARTICLE - Should a nonprofit corporation form a subsidiary when it starts a business venture? Not necessarily. Creating a subsidiary can protect the parent corporation from liability and might attract new revenue. CLASSIC ARTICLE - Few tasks are more daunting than firing someone. Because payroll is the biggest expense for most service organizations, however, cuts in staffing are often the only way to reduce costs and ensure survival. CLASSIC ARTICLE - Recruiting good board members is a persistent challenge for community-based organizations. Grantsmanship Center trainer Judy Gooch suggests a dozen places to start looking for prospective members. CLASSIC ARTICLE - No one has exerted a more profound influence on the shape of international philanthropy than billionaire financier George Soros. Soon his vast network of activist foundations will be operating in 40 countries. CLASSIC ARTICLE - Grants managers often find themselves struggling with two or more unintegrated software systems. Tiffy Barnett has experienced the problem first-hand, and she suggests some ways to address it. CLASSIC ARTICLE - No organization can insulate itself completely from employment-related risks. But written policies and a carefully drafted manual can go a long way toward minimizing those risks. CLASSIC ARTICLE - Because of high prices and restrictive licenses, your organization may not be able to purchase all the software it requires. According to computer expert Howard Fosdick, open-source software— free of cost and readily accessible— may be the answer. CLASSIC ARTICLE - When an Oregon-based agency's federal grant application was rejected solely because of a formatting glitch, the incident sparked raillery and outrage. Susan Compo reports on the Case of the Narrow Margins for The Grantsmanship Center News. Nonprofit Mergers: Is Your Organization Ready for the Road? CLASSIC ARTICLE - In order to improve their finances, services, or pursuit of mission, nonprofits may be tempted to merge with other, similar organizations. But the road to merger can be difficult-even dangerous. CLASSIC ARTICLE - Both volunteer board members and paid employees typically feel a strong emotional attachment to the nonprofits they serve, leading them to see merger as more of a threat than an opportunity. Management consultant Dan H.
CLASSIC ARTICLE - As a program officer with the Kellogg Foundation, Dr. Joel Orosz dispensed frank advice along with grants. CLASSIC ARTICLE - One of the most effective ways to raise big money is with a capital campaign. But community-based groups often lack the resources and the know-how to undertake such an ambitious enterprise. CLASSIC ARTICLE - Most organizations assume that getting bigger means getting better. But if it isn't closely managed, organizational growth can actually end up diluting a nonprofit's effectiveness. CLASSIC ARTICLE - Starting an earned-income venture takes more than a good idea. It also takes careful planning. Rolfe Larson shows how to assess venture ideas and how to decide which ones are worth pursuing. CLASSIC ARTICLE - Faced with shrinking revenues, Los Angeles Mayor Richard Riordan has taken the lead in tapping private funding sources for public causes. CLASSIC ARTICLE - They go by the humble acronym RAG (the one in Washington, D.C. goes by the doubly humble "WashRAG"), but regional associations of grantmakers can be a valuable resource for local nonprofits. CLASSIC ARTICLE - New technologies are combining with tried-and-true techniques to improve the work of development staffs. CLASSIC ARTICLE - Board conflicts can present some of the most formidable challenges that a nonprofit manager must face. They generally come in two forms--conflict between members of the board and conflict between board and staff. CLASSIC ARTICLES - Your agency submits a grant proposal to a longtime funder and the program officer responds with high praise. There's just one hitch-she also wants you to redefine your mission. What's a board to do? Three experts offer their own advice. CLASSIC ARTICLE - Many nonprofit groups assume that because their cause is noble, their employees should be willing to work for little money. But without the ability to attract and retain good workers, any enterprise is doomed to failure. CLASSIC ARTICLE - Fundraising software performs a multitude of functions. And there are dozens of software packages to choose from. How do you pick the right one for your organization? Technology consultant Corinne Waldenmayer offers a user's guide to software selection. CLASSIC ARTICLE - Membership campaigns aren't just a good way to build your donor base. They can also increase your political clout--by educating the community and by showing elected representatives that your organization has a strong constituency. CLASSIC ARTICLE - Faced with rising rents, more and more nonprofits are scrambling for affordable office space. Multi-tenant nonprofit centers promise greater cost efficiencies and new opportunities for collaboration. CLASSIC ARTICLE - Unlike for-profit business owners, social entrepreneurs cannot measure the success of their efforts in financial terms alone. 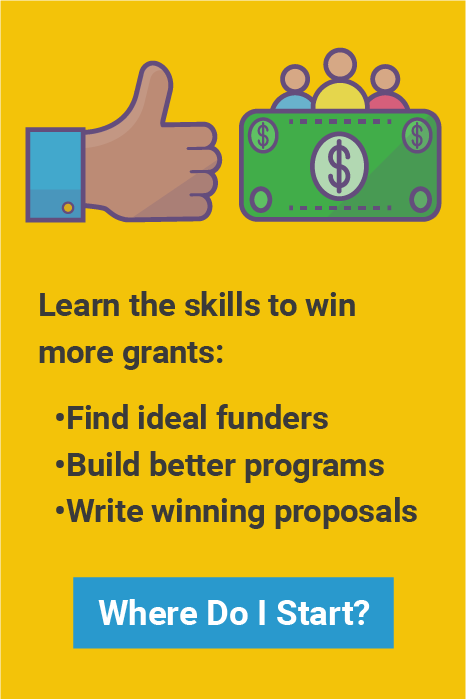 CLASSIC ARTICLE - Norton J. Kiritz explains why “grantwriting” is a misnomer – and why the basis of good grant proposal writing is good planning. CLASSIC ARTICLE - Reducing your agency's budget is never simple. If you have little in the way of unjustified spending to eliminate, there are no easy targets. And imposing a wage or hiring freeze can diminish morale and adversely impact services. CLASSIC ARTICLE - With new technology, nonprofits are able to connect with their constituents much more effectively. But when a development office relies on poorly configured equipment and inconsistent databases, more money is spent and less money comes in. CLASSIC ARTICLE - The principles of "social entrepreneurism" have had a transforming effect on New Economy philanthropists. For the social service agencies that embrace those principles, the effects may be even more profound. CLASSIC ARTICLE - Can small groups realistically expect to get big gifts? Grassroots fundraising expert Andy Robinson argues that contributions of $500 to $5,000 are well within reach- if you know how to ask for them. He lays out a three-step plan for getting the job done. CLASSIC ARTICLE - Every fundraising professional knows how to write a thank-you note, but even seasoned veterans botch letters of apology. Susan Sarver describes what works-and what doesn't-when it comes to saying you're sorry. CLASSIC ARTICLE - More and more grantmakers are making it possible (and in some cases, mandatory) for proposals to be submitted electronically. Contributors to The Grantsmanship Center's Alumni Forum have some suggestions for handling the process more smoothly. CLASSIC ARTICLE - While there are important differences between grant proposals for research and grant proposals for programs, there are also many parallels. Grantsmanship Center trainer Charles R.
CLASSIC ARTICLE - Statistics expert Peter B. Wylie explains how an understanding of "variables" can help you discover predictors of giving, using information that's already stored in your donor database. CLASSIC ARTICLE - Donated labor often accounts for a significant portion of the in-kind match used to secure a grant. Here's how to calculate its dollar value. CLASSIC ARTICLE - What role should the board play in planning and implementing an enterprise? Here's a list of issues to consider and roadblocks to avoid. CLASSIC ARTICLE - Grantees often view site visits with dread, but the vast majority of grantmakers have fairly benevolent motives for wanting to observe your work. CLASSIC ARTICLE - Grant applications that focus on an organization's internal needs pose special challenges. Grantsmanship Center trainer Susan Chandler offers pointers for writing these proposals more effectively.